1. 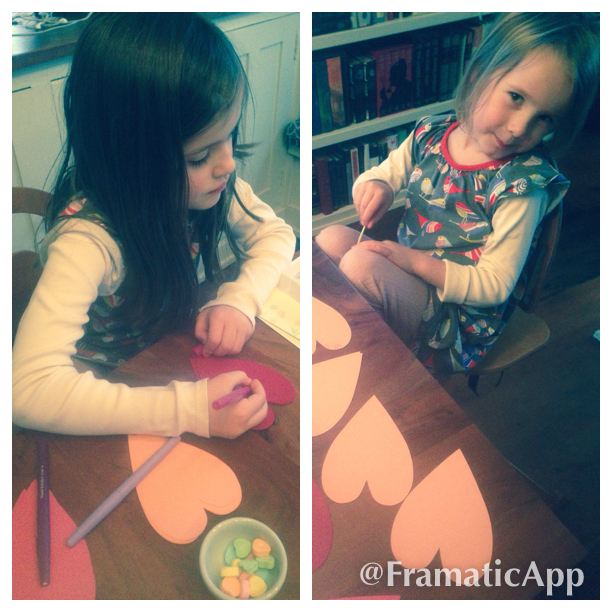 The girls, especially Cate, enjoyed making their Valentine’s this year. We kept it really simple – heart card stock and stickers and glued-on candy. Pretty cute. They were so ready to go to school this morning. Also, in fitting with the season, Jane announced to Telfer and Cate yesterday afternoon in the car that she has a boyfriend. 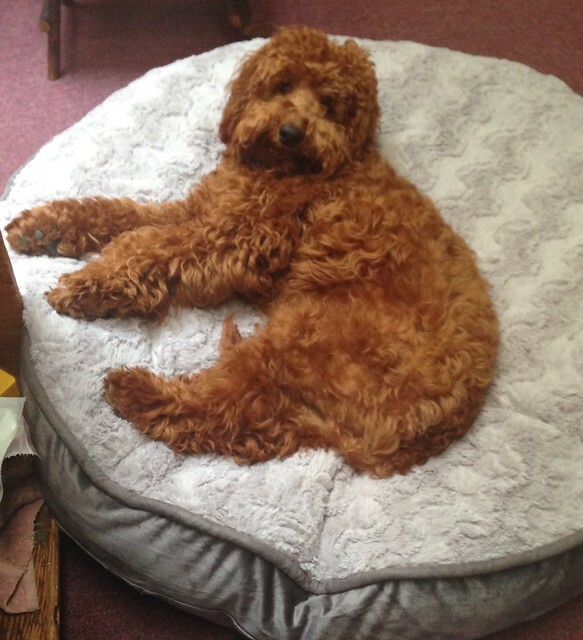 His name is Wyatt. So there’s that! 2. These red book trucks are making me very happy today. 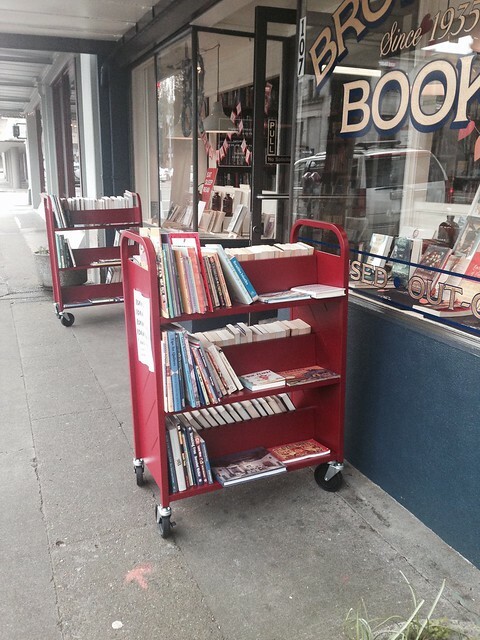 We just got them on Wednesday and today is the first day I have them all loaded up with bargains in front of the shop. It’s so fun to watch people browse through books on a sunny day. 3. 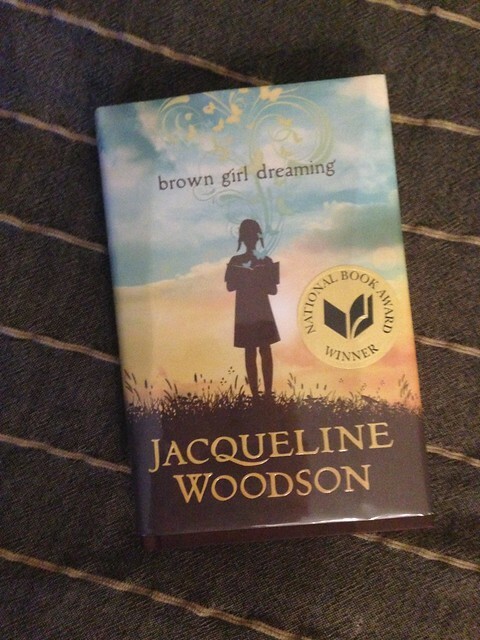 I loved Brown Girl Dreaming by Jaqueline Woodson this week. Just an absolute joy to read – definitely not just a kid’s book. True and personal and beautiful. Also finished this. And this weekend I going to start this and this AND am slowly making my way through this. 4. Last Saturday we went on a few errands before Telfer had to work – the farmer’s market, the bookshop, and Home Depot. 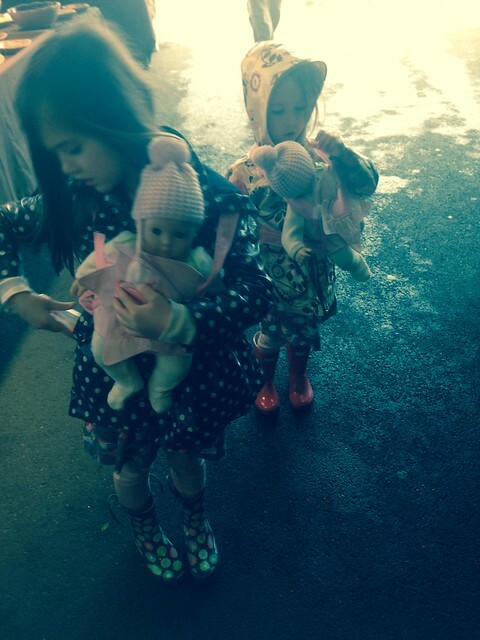 The girls asked if they could bring their babies to the farmer’s market. Telfer rolls his eyes a bit but I am always happy to fuss with the front packs and get their babies all ready to go. I think I like their babies just as much as they do! I am also so very aware that they will not always want to take their babies to the farmer’s market and hold my hand while they do so. Boyfriends and babies! They grow up way too fast… 🙂 Wyatt is totally a dreamy, cowboy name so – well done Jane!